Carousel is a New and Used vehicle sales and Sourcing business. Developed from real experience of over 20 years in the retail motor sector, Carousel offers a non bias approach to buying your next car or commercial vehicle with all the help you need along the way. We are a family run business with over 60 years connected to the motor-trade. We started off in 2005 specialising in Japanese models, as we had a long relationship selling these brands with confidence in their quality. This quickly developed as we realised from our customers that they also wanted to use us to source other brands to their requirements. With this new demand, we knew that the Franchised Dealer had a lot of constraints when it came to selling a variety of brands and that's what our customers wanted. Carousel are proud to say we have no allegiance to any manufacturer and take every vehicle on its own merit. Carousel has conducted its business over the years with attention to detail and exceptionally high standards. "The Bitterness of poor quality remains long after the sweetness of low price"
Carousel stands by its morals and years of experience to deliver you the perfect vehicle every time. Give us a call or contact us for more information or a chat. © Copyright Carousel Limited, 2015. All rights reserved. 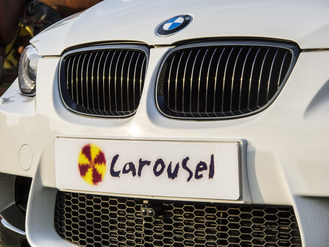 Carousel Cars is a trading name of Carousel Limited.